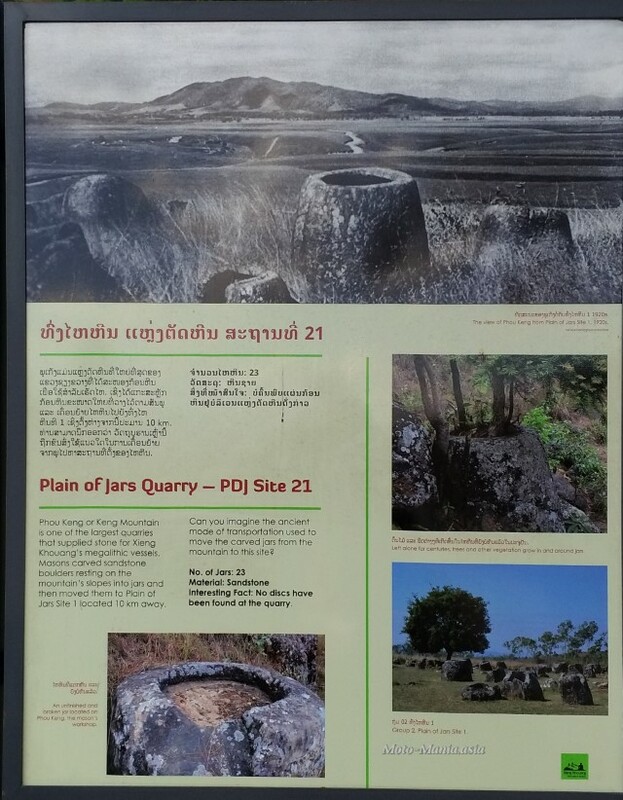 Phou Keng or Keng Mountain is one of the largest quarry sites. The jars once completed were moved to Jars Site 1. Ten kilometres away. 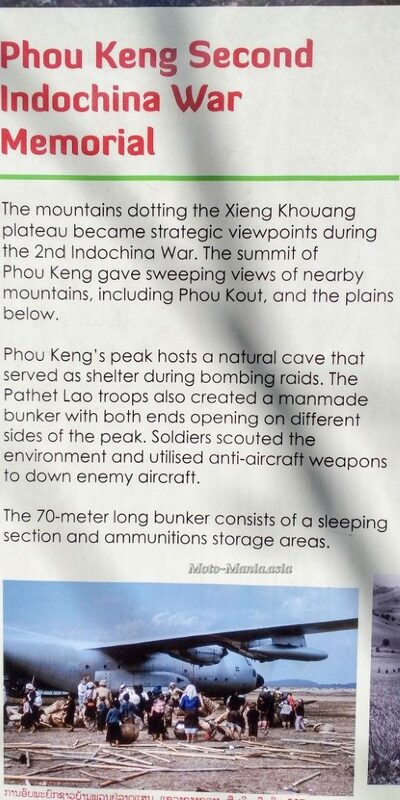 Keng Mountain is 1400 metres above sea level. There are 1250 steps to the top. Big steps too. If normal size, easily 2000 steps. I made it 3/4 of the way up and had to sit for 5 minutes. But I do tend to power walk. 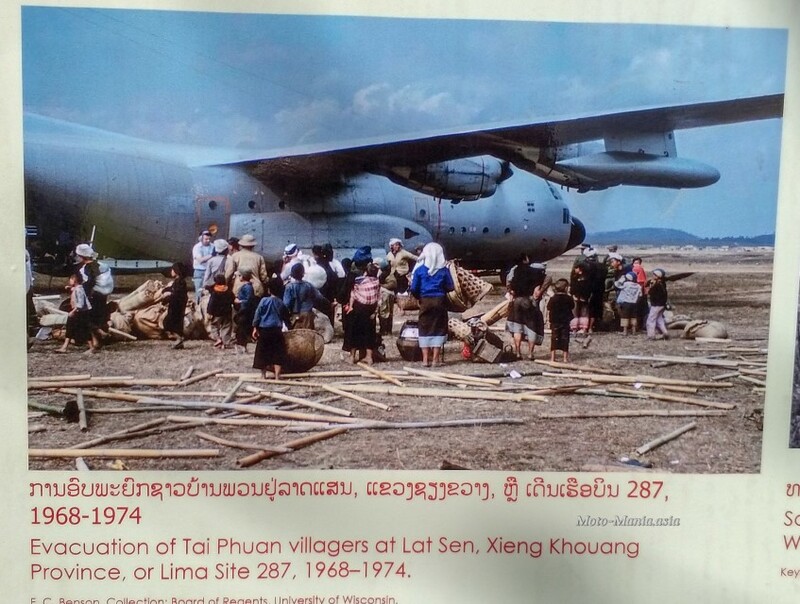 The Pathet Lao troops created a 70 metre long bunker with two sections. One for sleeping and one for storing ammunition. It is pitch dark in here, navigated by Phone torch. The sections have been walled off. It is possible to look over inside. Mainly dirt that has collapsed . 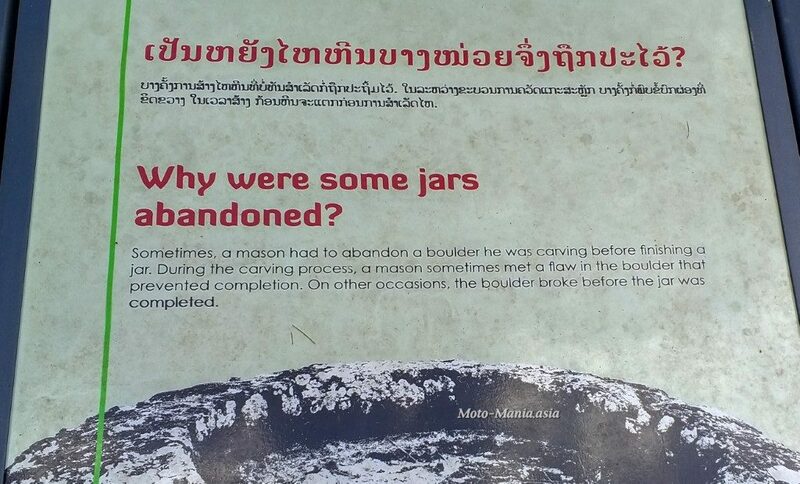 Sometimes a mason had to abandon the boulder he was carving before finishing a jar. During the carving process a mason sometimes met a flaw in the boulder that prevented completion. On other occasions the boulder broke before being completed. Natural cave. Not much to see inside. 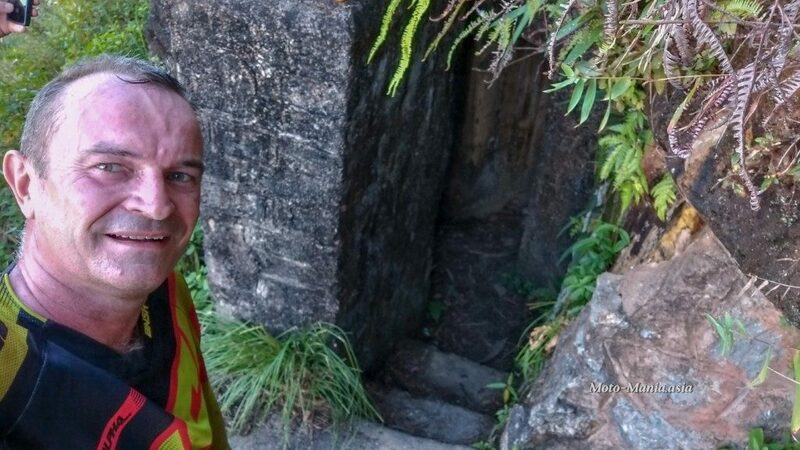 A dodgy walk along the edge of the mountain to the other end and exit here. You have to scramble up the rocks to get to the peak. Well worth a visit. We didn’t see any other people here. Pay 10,000 kip to an old lady and man at the base in the office. They look after your gear. Then you ride your bikes up around 200 – 300 metres before parking and beginning the walk up the mountain. The road is paved all the way from Phonsavan, a bit rough in places. We asked the old man if there is a dirt way back to Phansavan. There is and we followed that back.. Good fun and very sandy.